Created by the North Carolina Psychoanalytic Foundation (now part of the PCC) through a generous gift from Elizabeth Raft, MD, the David Raft Fellowship is generally awarded annually to one clinician enrolled in, or planning to enroll in, the training programs or continuing education courses of the Psychoanalytic Center of the Carolinas (PCC). The David Raft Fellowship assists with tuition and training program fees. Fellowship fees are applied to up to 50% of the tuition of any course. Matriculated clinical students in the Psychoanalytic Center of the Carolinas can apply for the David Raft Fellowship by submitting the abbreviated Raft Fellowship application by May 1. Mental health professionals and trainees who have applied to the Psychoanalytic Center of the Carolinas clinical training programs can apply for the Raft Fellowship by submitting the abbreviated Raft Fellowship application by May 1. Non-matriculated mental health professionals and trainees who are interested in applying for one or more of the PCC's 2019-2020 continuing education courses can apply for the David Raft Fellowship by submitting the Raft Fellowship application by May 1. Demonstrated interest in and/or commitment to the application of psychoanalytic principles to any area of clinical care. Commitment to developing oneself as an analytic instrument by deepening one's knowledge and understanding of one's own inner processes and learning to apply those lessons in the therapeutic relationship. Interest in developing a research project that explores psychoanalytic concepts and/or guides psychoanalytic practice. Priority will be given to applicants who have matriculated or plan to matriculate in the Psychoanalytic Center of the Carolinas. However, clinicians who plan to take PCC courses without matriculating may also apply and be considered for the Raft Fellowship. The Raft Fellowship selection committee will consist of three members and two alternates of the PCC Admissions Committee. The Raft Fellowship recipient will be announced in summer. Dr. David Raft, a psychiatrist and psychoanalyst, was a committed researcher, clinician and teacher. 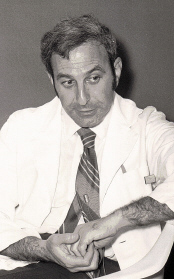 As Associate Professor in the University of North Carolina School of Medicine Department of Psychiatry, he taught on the consult/liaison service. He also taught and supervised in the psychoanalysis training program of the PCC (then known as the UNC-Duke Psychoanalytic Education Program). Equally comfortable with internal medicine, psychopharmacology, and psychoanalysis, or a combination of those, he could and would respond to emergencies with the same generosity and excellence he showed in providing psychoanalytic supervision. Dr. Raft wrote on diverse topics including depression in medical patients, anorexia nervosa, sexual problems, psychopharmacological prescribing by non-psychiatrists, somatization, and therapeutic abortion. Dr. Raft's real love was teaching, supervising, and conducting psychoanalysis and psychoanalytic psychotherapy. Those he supervised and mentored remember him as a dedicated teacher of the craft. The Raft Fellowship will provide financial support in order to share his professional values with new generations of students of psychoanalysis and psychotherapy.